Brie Larson stopped by The Ellen DeGeneres Show this week to plug next month’s Captain Marvel. In addition to showing off her dance moves and discussing how she got into shape for the role, Larson premiered the first clip from Marvel Studios’ first offering of 2019. You can check out the new footage via ComicBook.com below. 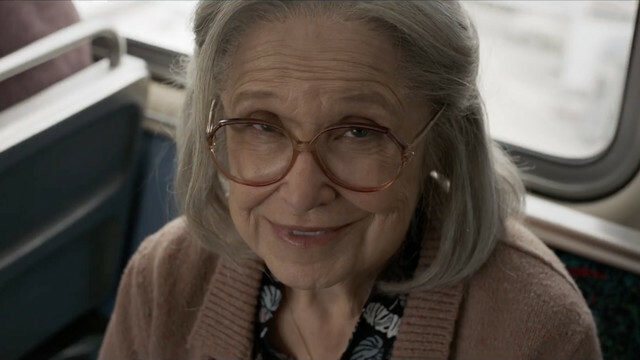 The new clip appears to serve as a continuation of the scene glimpsed in the film’s trailers where Carol Danvers discovers a Skrull posing as an old woman on a train. When the clip starts, the two combatants have taken their fight to the train’s roof. Even though Carol clearly struggles to maintain her footing, one can’t help but be impressed by her resolve. Following in the footsteps of Spider-Man 2 and Avengers: Age of Ultron, the scene proves that trains will always be good sites for high-octane fight sequences in superhero flicks. Of course, Carol isn’t without her backup. The clip also notably features Nick Fury and Phil Coulson trying to keep up with the train in their car. Captain Marvel’s mid-’90s setting allows the film to explore the origins of the S.H.I.E.L.D. agents’ partnership. And watching the black-suited spies give chase endows the movie with the era-appropriate feel of a buddy cop vehicle. Plus, MCU fans will be happy to see Coulson after he met his demise (again) on Agents of S.H.I.E.L.D. The series’ latest trailer hinted that the character might not be dead after all. But nevertheless, it’ll be exciting to revisit Coulson in a way we haven’t seen before. Captain Marvel flies into theaters on March 8. You can share your thoughts on the new clip from the movie in the comment section below!